The Microsoft Theater is an amphitheater located in the LA Live neighborhood of Downtown LA. 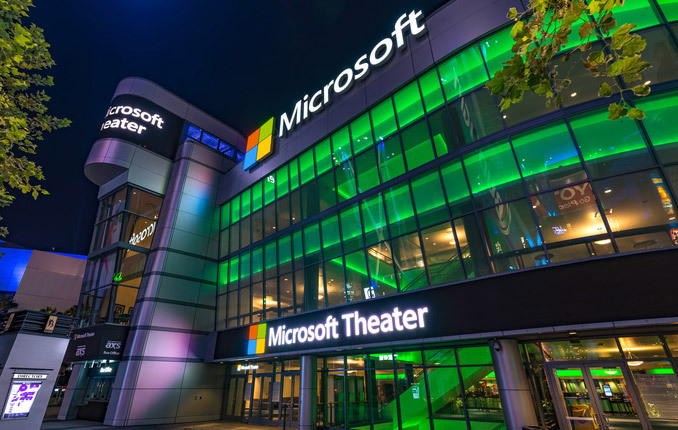 Microsoft Theater was originally known as the Nokia Theater. Microsoft Theater is located on across the street from the Staples Center. Microsoft Theater sits adjacent to the JW Marriott LA Live Hotel and Ritz-Carlton Residences. Microsoft Theater annually hosts the BET awards. In addition, the Microsoft Theater frequently hosts concerts. Getting in and out of Downtown LA traffic can be a hassle. Use EVX Limos to get you to your venue in a safe and reliable mode of ground transportation. Your chauffeur will pick you up from your origin and take you to the Microsoft Theater and wait for you until you are ready to return to your origin. If the event takes longer than expected no need to call our office, once you are ready to leave call the chauffeur and he will meet you at the designated pickup location.